After having gladly vanquished Joanna Jedrzejczyk from strawweight title contention, Rose Namajunas has been laying low and outside of the spotlight. But as she has remained in place at the top of the strawweight food chain, the division has seen movement. In a recent interview with UFC.com, Rose Namajunas discussed whom she believes to be next in line for a title shot. Previously, Rose Namajunas had declared that there was no clear #1 contender, even when Jessica Andrade appeared to be ahead of the pack in the eyes of many. But with the walkoff knockout victory over Karolina Kowalkiewicz, who holds a victory over Namajunas, Andrade now has Rose’s undivided attention. But that doesn’t mean she is the only contender who has caught the champion’s eye. 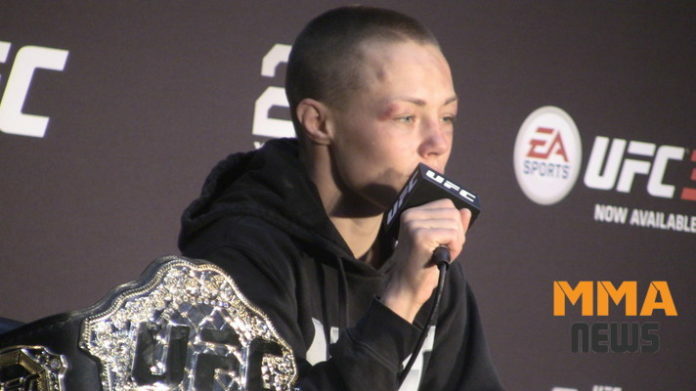 Do you believe Rose Namajunas will retain the strawweight championship in her next defense?